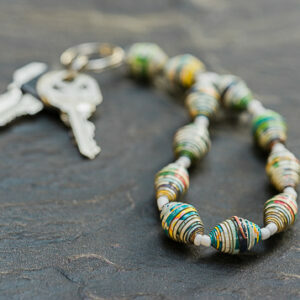 In partnership with Let’s Empower Women, Haitian Bead Project has designed the Lunar Essential Tracker Bracelet. 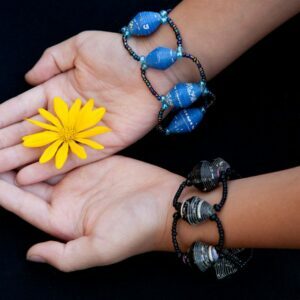 These beautiful bracelets are made from upcycled materials and trash and designed to empower and educate women in developing countries about their fertility cycle. 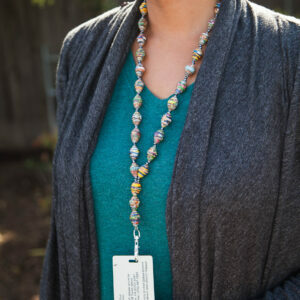 Your purchase provides additional bracelets to these women through the Let’s Empower Women classes. 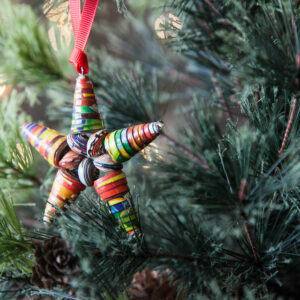 Place one of our colorful beaded ornaments on your Christmas tree, remembering the reason for the season. 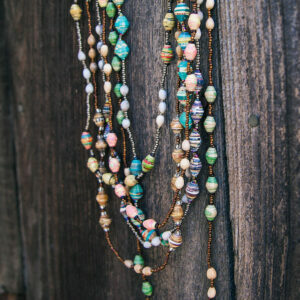 Beautifully handcrafted beaded necklaces are available in many different styles, from cascading and layered, to classic short and long. Choose the style and color that best fits you! Our beautiful beaded bracelets are available in three different styles and a multitude of colors to match your personality and taste. 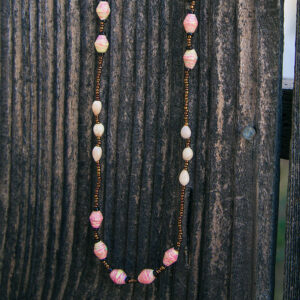 These hand-made beaded earrings are gorgeous. 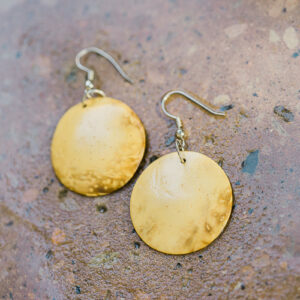 Carefully crafted, these dainty beauties are available in many colors and shapes. The artisans not only have an eye for beauty, but have implemented their creativity in a way that is beautiful and useful. 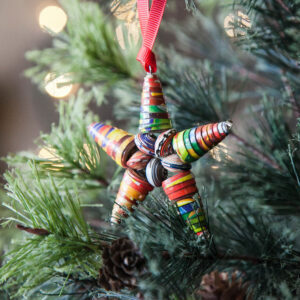 Accent your home with something beautiful and hand-crafted, made with love and purpose.